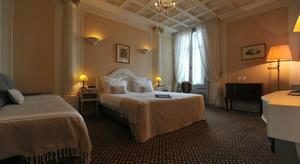 This prestigious 4* hotel is both historical and modern, and has certainly maintained its panache across the Centuries. 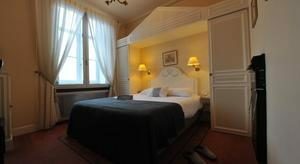 Built in 1857, Hotel d’Anjou underwent extensive renovations in the 1920’s and today, guests can expect elegance, sophistication and a relaxing, chic base from which to explore the Loire Valley. 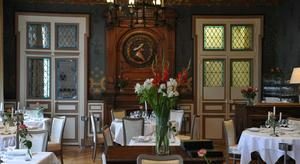 Located in the centre of Angers, Hotel d’Anjou is perfectly situated, with easy access to the city’s array of boutiques, shops, bars and restaurants. Within walking distance is the 12th Century Saint-Maurice Cathedral as well as the Château d’Angers, home to the famous Apocalypse tapestry. For those arriving my car, the hotel offers secure parking, which costs 10 Euros per day. Offering a 4* service, the hotel’s reception team is available 24/7 and the concierge is also always on hand to assist throughout your stay. As well as the standard facilities such as a postal service, wake-up call, photcopier, fax, printer and luggage storage, a hot and cold buffet breakfast is served in the dining room from 06:30 to 10:00 or in your room until midday. Two restaurants are located on site, in addition to 24 hour room service and a tea room/bar. Each of the 53 guest rooms are sound-proofed and air-conditioned and decorated in an authentic yet modern style. For the maximum comfort, every room is equipped with a telephone, television with satellite channels, a mini-bar, hairdryer, safety deposit box, trouser press and WIFI internet access. Charm and Prestige rooms are offered, as well as family rooms for those travelling with children.